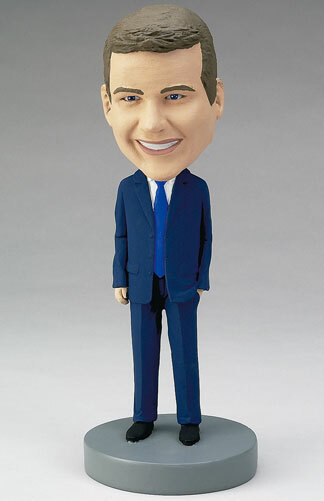 A custom bobblehead doll can be a quirky decoration for your desk at work or a funny gift for your boss or manager. Add an umbrella to make him a fancy British gentleman, or add a briefcase or other accessories of the professional life to make the perfect present. Such a personalized bobblehead will amuse and draw questions from co-workers and clients!